Give a treat to your senses with this mouth-watering chocolate having a crispy and crunchy wafer exterior dipped in chocolate, creamy filling inside and a hazelnut in the center. 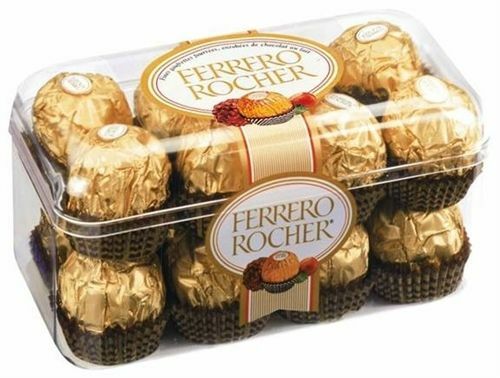 You can gift this exclusive pack of Ferrero Rocher to your loved ones on any occasion and it will surely make their day! 16 pcs. 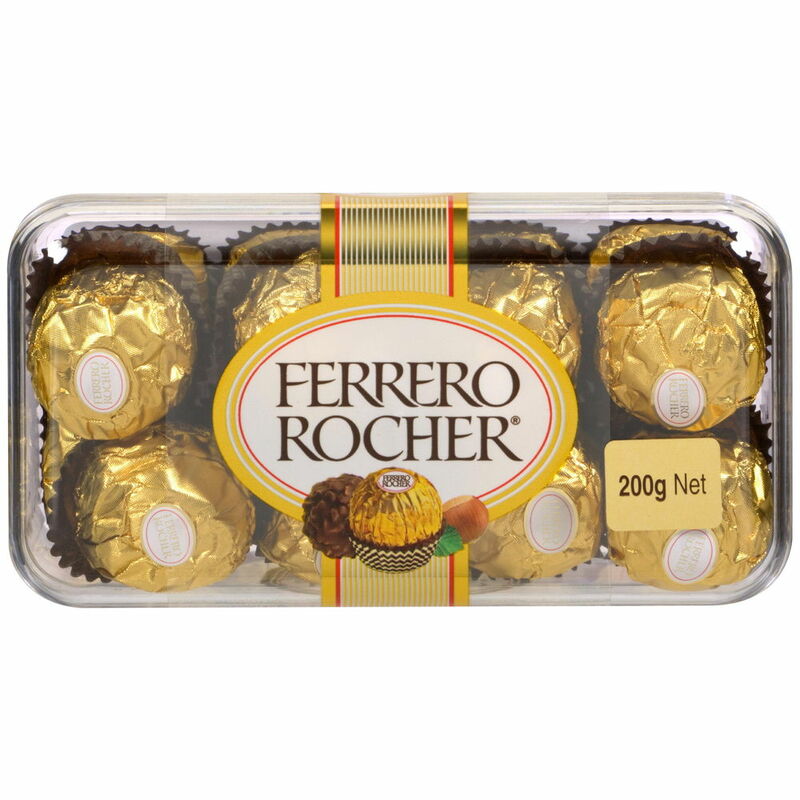 of delicious mouth watering Ferrero Rocher chocolates. Ferrero Rocher consist of a whole roasted hazelnut encased in a thin wafer shell filled with nutella/hazelnut cream and covered in milk chocolate and chopped hazelnuts and walnuts. The box contain 16 pcs and are individually packaged inside a gold-coloured wrapper. Only the very best hazelnuts, which includes the Tonda gentile from the langhe area in Piedmont are good enough for Ferro Rocher. 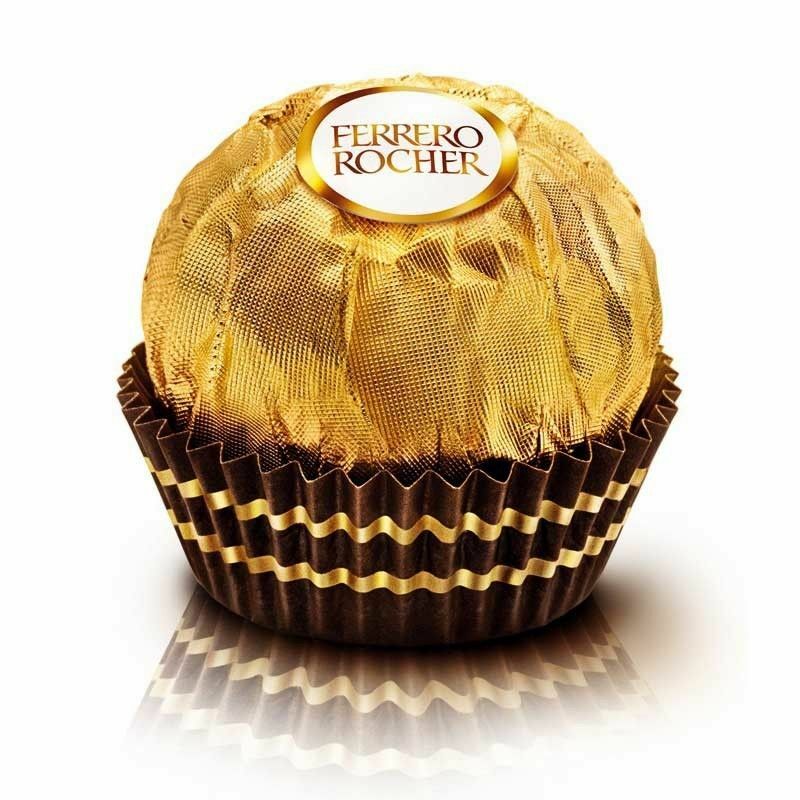 The harmonious combination of tastes, enhanced by the alternating crisp and creamy textures, make Ferreo Rocher a unique experience. From the processing of the cocoa to the toasting of the hazelnuts, Ferrero can boast unqualled expertise in the preparation of the exclusive Ferrero Rocher receipe. Delivery of items will be attempted only once. Incase the delivery is not executed during the attempt,due to wrong address-recipient not available-premises locked, the customer shall still be charged for the order. For remote-rural areas the product will be sent by local couriers-Indian Speed Post and may take little more time. The Ferrero Rocher Hazelnuts tasted really good, and were beautifully wrapped. 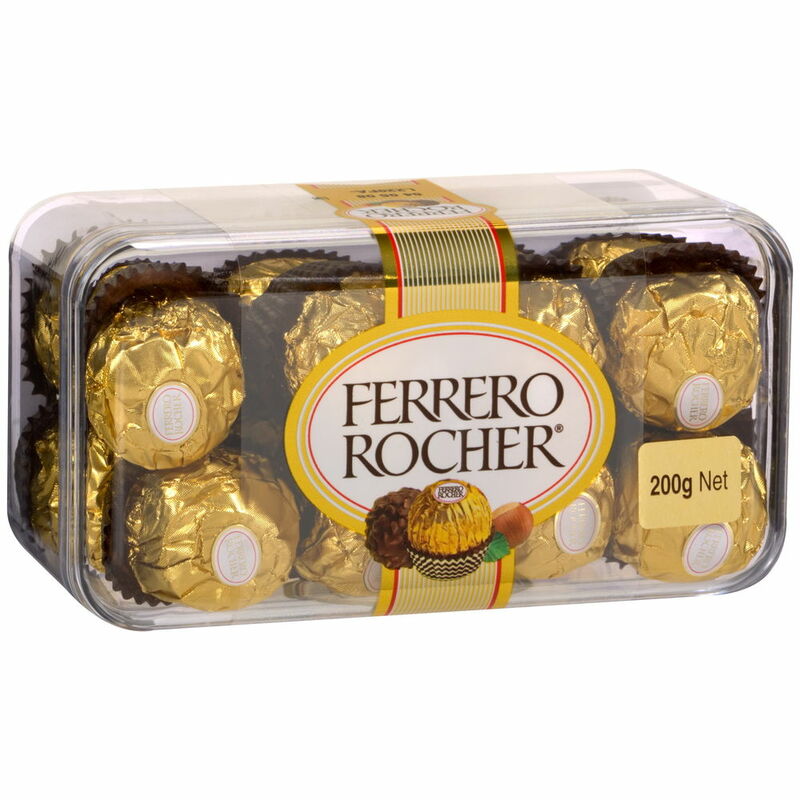 Delicious experience with Ferrero Rocher Hazelnuts. 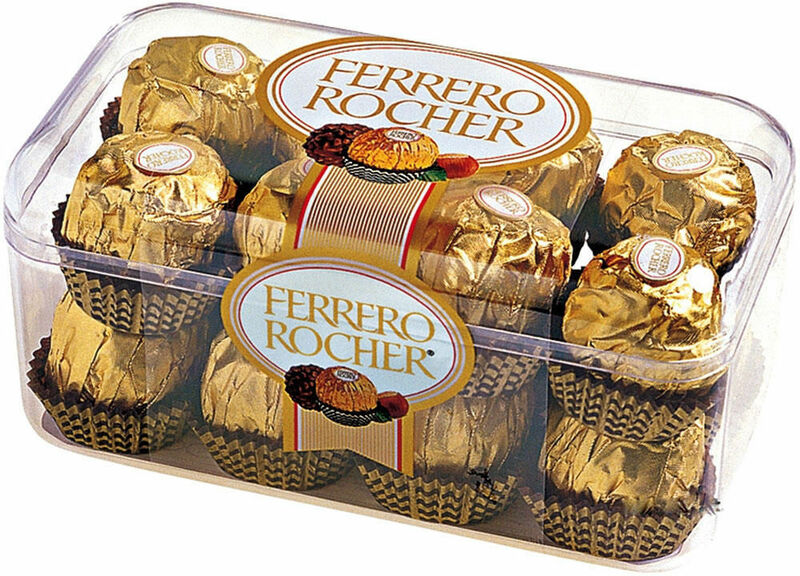 I will surely recommend my friend to buy only Ferrero Rocher Hazelnuts chocolates. Wonderful service. The recipient was not available the day delivery was made, so it was planned on the next working day.. Fully satisfied with the service and a great product as well. Very good service. Parcel arrived on time. Excellent quality product. I'm too happy with the site itself & product & service. The delivery was quick and fast. Neatly wrapped and I was amazing to see that it was shipped quite quickly to remote places as well. Great job!! Continue to do the same.